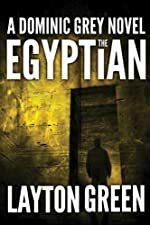 Seemingly separate events collide when Dominic Grey and Viktor Radek, private investigators of cults, are hired by the CEO of an Egyptian biomedical firm to locate stolen research integral to the company’s new life extension product. But after witnessing the slaughter of a team of scientists by the remnants of a dangerous cult thought long abandoned, Grey and Viktor turn from pursuers to pursued. 4.4 stars on 100+ rave reviews! Two decades after the Millennial Depression, America has entered a period of enlightenment, and a new political, social, and economic environment has emerged. Yet 17-year-old Will Warren struggles to find his way in this new world. Join Will on a journey from the small Michigan town of New Lothrop to the vast deserts of Africa, where he discovers the strength of the human spirit…. 4.7 Stars on 13 Reviews! 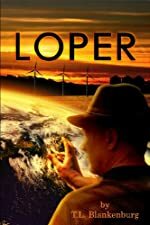 Just $2.99 to start reading Loper by T.L. Blankenburg on your Kindle in under a minute. Cleanse your body for healthy, glowing skin! Toxins are ever-present in our daily lives; they can cause disease, hormonal imbalances & weight gain, & seriously affect how we look and feel. 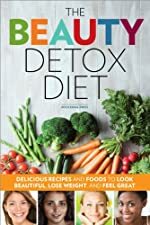 Here’s your guide to a complete beauty detox, with 75 easy recipes that will help you cleanse your body of poisonous toxins. In just weeks you’ll see the difference in your hair, nails, & skin. Usually $6.99 – Get it Today for $2.99!